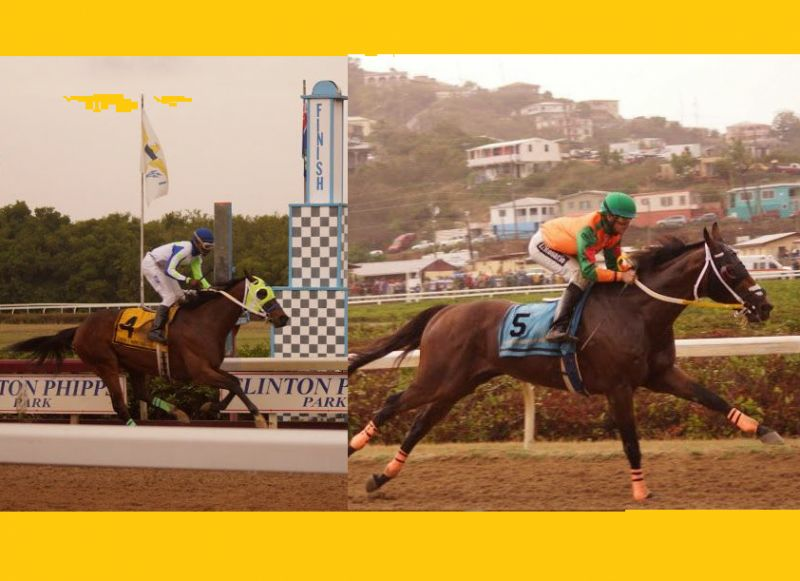 The feature race, billed locally as a showdown between Integrity and St Moose of the USVI, also featured Giant Valley and Honors, owned by Top Priority Stables and Family Affairs Stables on Tortola respectively. The Tortola pair, however, was only able to muster fourth and fifth place finishes. The race was won in a time of 1:31 and 2 by Integrity ahead of St Moose and Call Daddy. Race one was claimed by Sparky Bee in a time of 1:11 and 4 ahead of Starvingartist and El Indultado. Race two saw Centre Gold romp across the line in 1:12 and 2, with Gus is Tuff second and Warrensbrotherbill third. Race three saw a new track record established as Brass Note crossed the line in 1: 40 to win the one mile and forty yard dash. Noble Forever came home second and Perfect Sunday third. Race four was also won in 1: 40 by Scripture N’ Verse ahead of My Secret Lady and Academic Probation. Efforts to reach the owners of Giant Valley and Honors were unsuccessful up to publication time. ROAD TOWN, Tortola, VI – Four of the territory’s finest horses are making the trek to St Thomas, US Virgin Islands for the ‘Three Island Link Up’ at Clinton E. Phipps Racetrack on Sunday September 18, 2016. The feature race is being billed by the hosts as a battle over 7 ½ Furlongs between Integrity and St Moose, but judging by word from inside the stables, Honors should not be taken lightly and of course Giant Valley is ignored at other owners’ peril. Both Honors of Family Affairs Stables and Giant Valley of Top Priority Stables are already settled in by the track, ahead of Sunday, and according to Lesmore Smith, owner of Giant Valley, fully fit and ready for action. 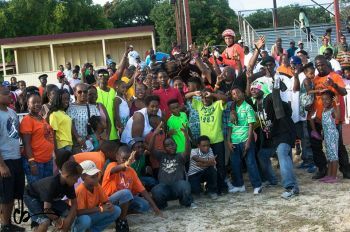 Giant Valley has already tasted much success in St Thomas, notably as Governor’s Cup winner and seems to sense the building anticipation. “A little feisty and playing up on first arrival, but definitely full of confidence and raring to go,” noted Smith. Call Daddy and Pumped Up Kicks make up the rest of the field challenging for a purse of $7,000. 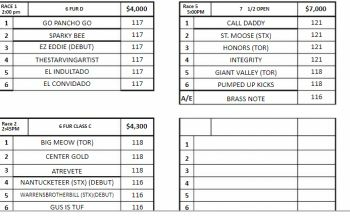 The first race, over 6 Furlongs for Class D horses, of the five card total is worth $4,000 to the winner and is scheduled to start at 1.30 P.M. The field contains Go Pancho Go, Sparky Bee, EzEddie, The Starvingartist, El Indultado and El Convidado. 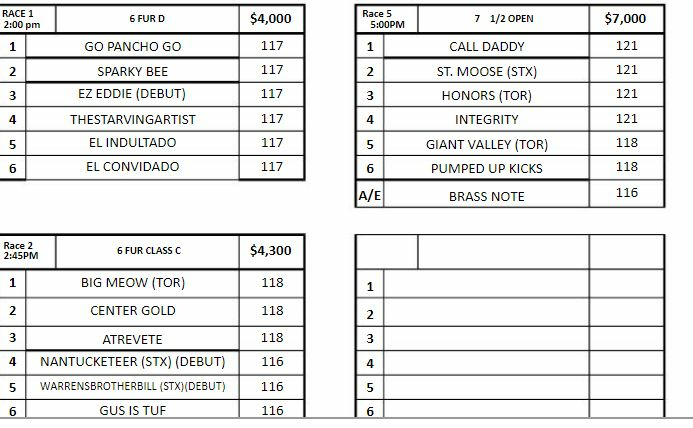 Race two, over six Furlongs with a Purse of $4,300 is for Class C horses with a field including Big Meow of Notorious Housing Stable and owned by Wasi Charleswell, Center Gold, Atrevete, Nantucketeer, Warrensbrotherbill and Gus is Tuf. 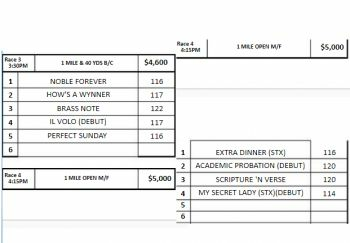 The third race, over one mile and forty yards, for Class B and C horses, with a purse of $4.600, features Hows a Wynner, Noble Forever, Brass Note, Il Volo and Perfect Sunday. 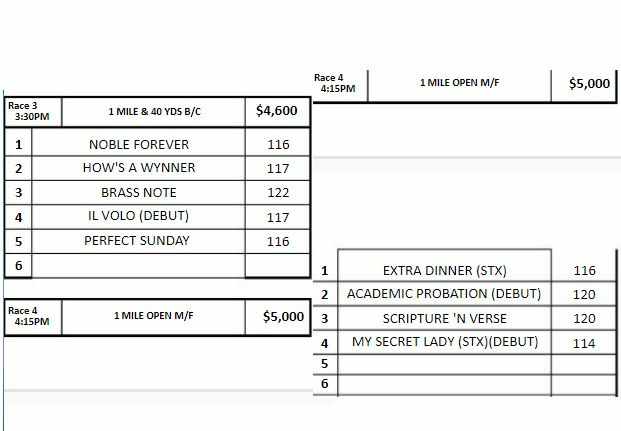 Race four is an Open one miler with Extra Dinner, Academic Probation, Scripture N Verse and My Secret Lady competing for a purse of $5,000. 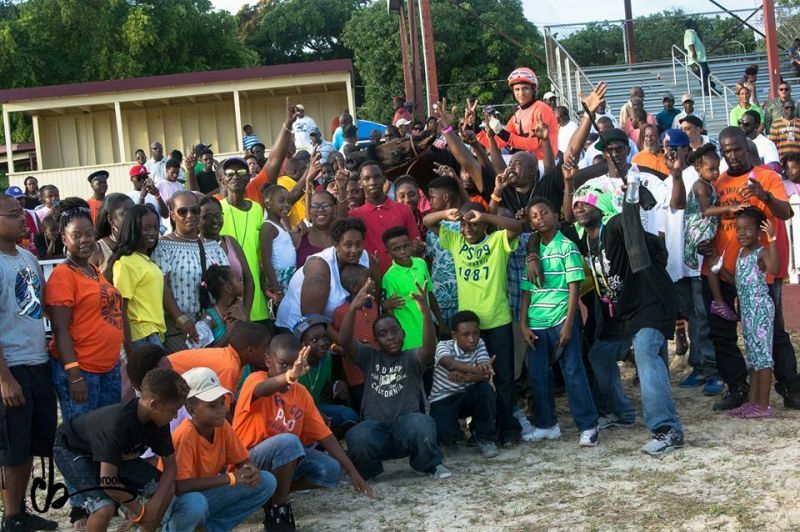 The last race is the one that the crowd will be looking for and although the USVI fans are hoping for a two horse race between the Moose and Integrity, Giant Valley can never be found far from the front when it matters and Honors will be expecting to silence the crowd with a one, two finish. What the final order will be? Wait and see! There goes Honors with Giant Valley 3 lengths behind for a BVI 1-2 punch! integrity 3rd and St Moose bringing up the rear, YES I! Burrrr in your dreams! Less ting dem is. How come i cant see that YELLOW crocodile in the picture with his big broad smile?